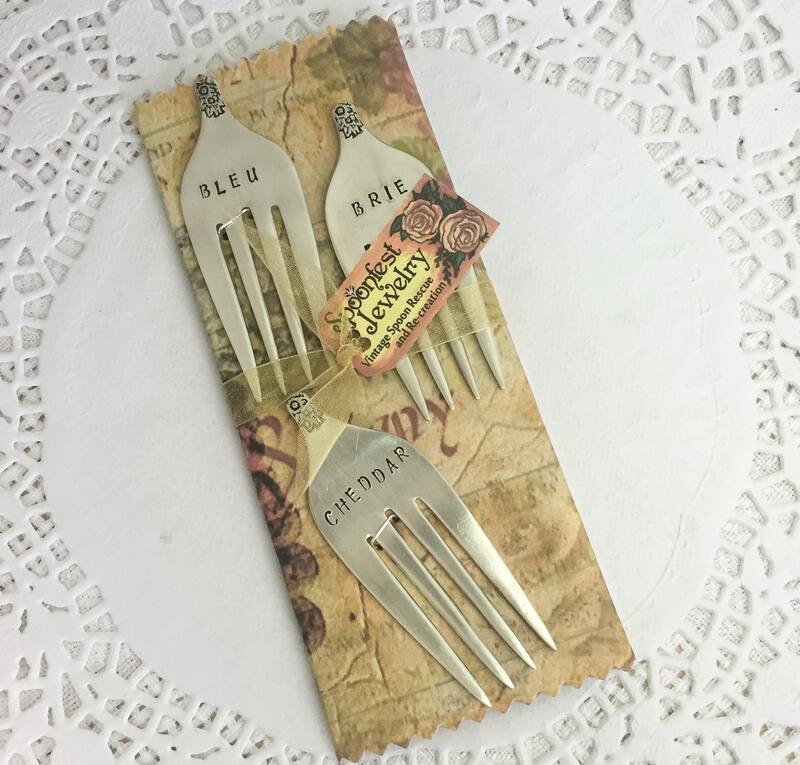 I created this set of three hand stamped cheese markers from vintage forks in the 'April' pattern from 1950. The forks are stamped with Blue, Brie and Cheddar. 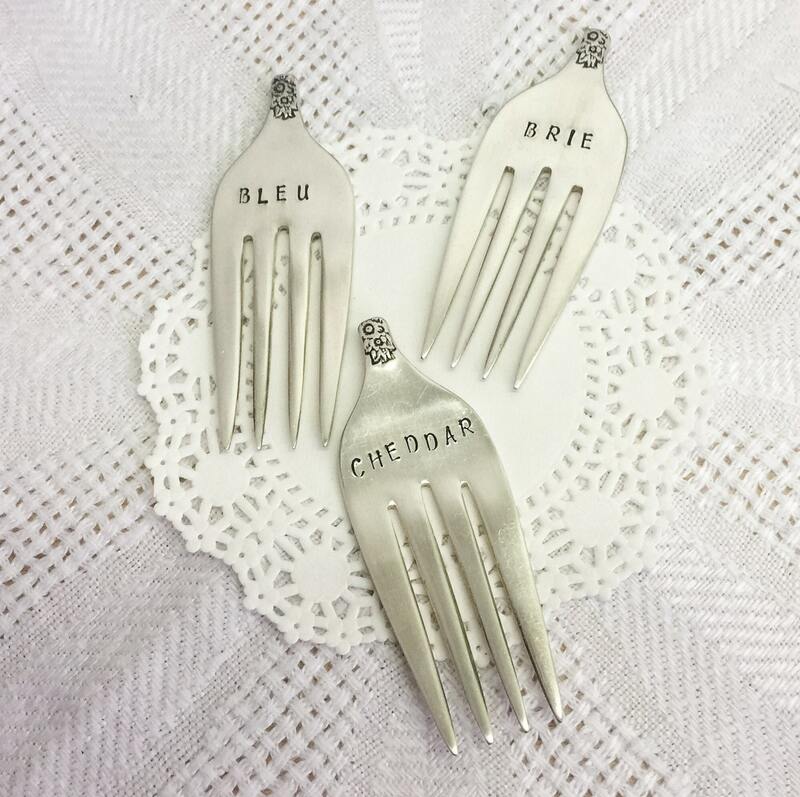 These vintage cheese markers would be great for your next wine tasting party, or to give as a unique hostess gift, or a special gift for any occasion for the wine lover(s) in your life.